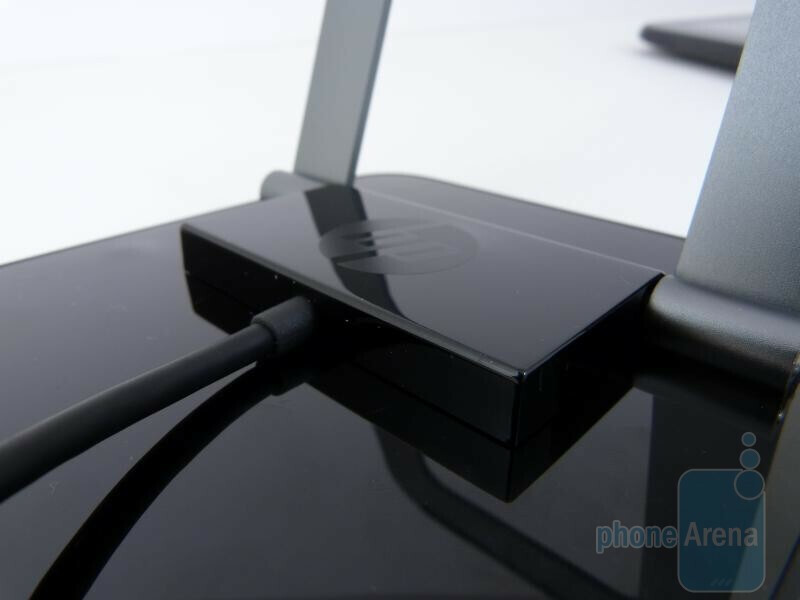 Following up on the trend that seemingly was started by the original Palm Pre, the optional $79.99 Touchstone Charging Dock for the HP TouchPad combines the functionality of any pedestal stand, while juicing it up via inductive charging. Much like the original Touchstone for the Palm Pre, the one for the HP TouchPad follows in the same premise by allowing you to lay the tablet on top of it. 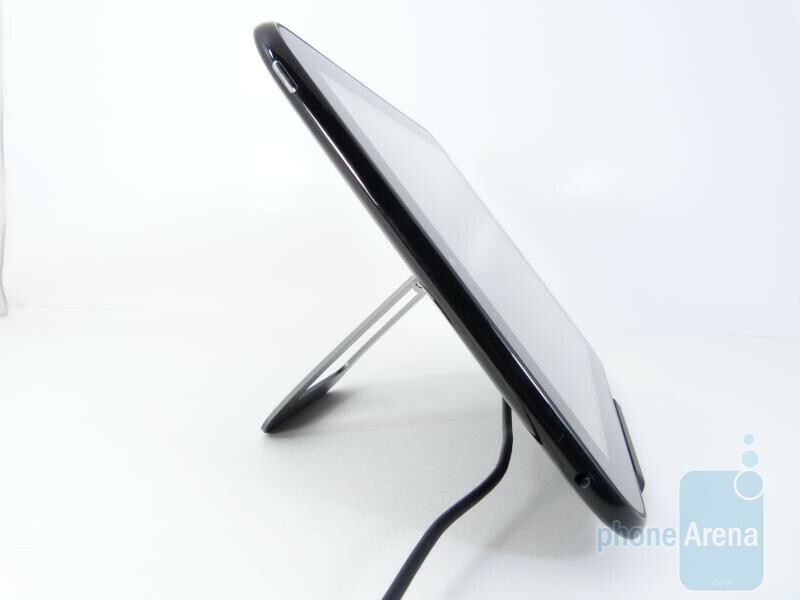 Naturally, the kickstand that supports the weight of the tablet is adjustable to almost any angle – thus, allowing us to view the tablet’s display comfortably. Luckily, it functions both ways as the Touchstone accommodates it in either portrait or landscape orientations. 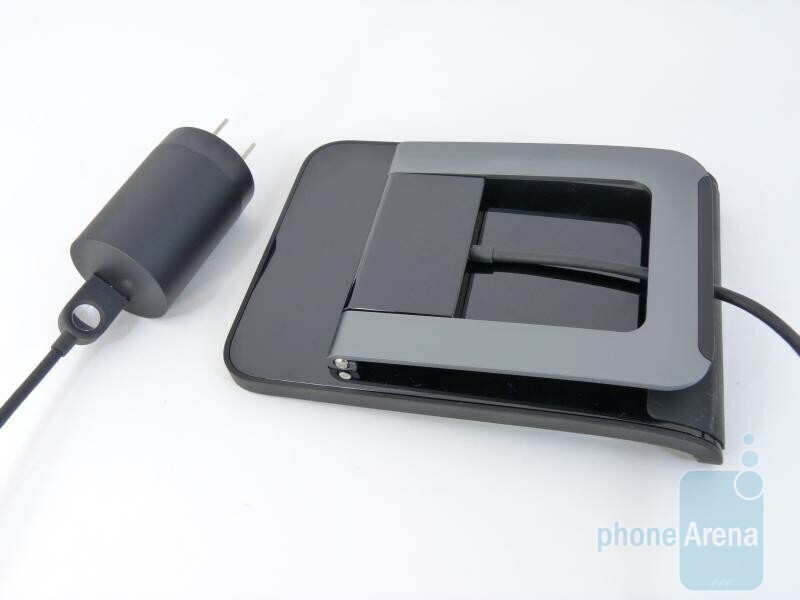 Included with the Touchstone is the regular looking wall adapter, which houses a standard USB port – however, we’re rather thrown back by the fact that it doesn’t use an ordinary microUSB cable to bridge the connection. Meaning, if the cable gets damaged or becomes defective, you’ll need to replace the entire Touchstone as opposed to just the microUSB cable that’s in use with the original one. 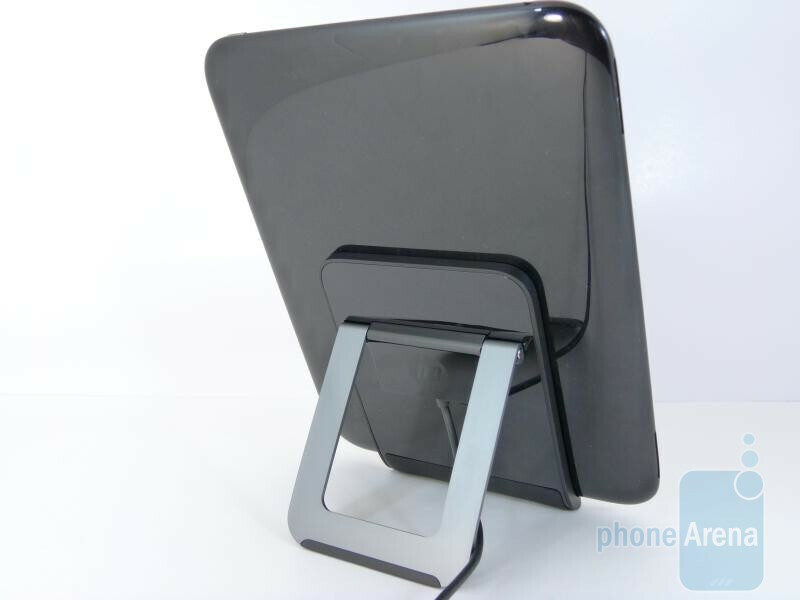 Nevertheless, you get that sense of coolness by being able to charge the TouchPad without the aid of any wires between it and the power source. 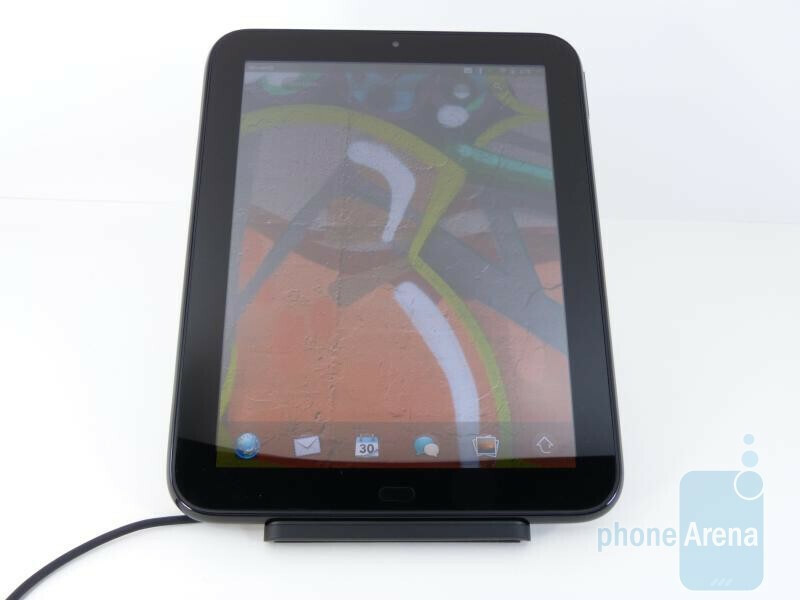 In fact, you’ll need to place the tablet squarely in the middle with both orientations in order for it to start charging. If it’s placed slightly more to the left or right, it won’t charge at all. Of course, you’ll see the battery icon change to the charging one to indicate that the connection is there – also, it’ll display an actual notification every now and then as well. Indeed nice and all, the $80 price tag for it is undoubtedly pricey, but then again, you gain the ability to charge the TouchPad wirelessly. 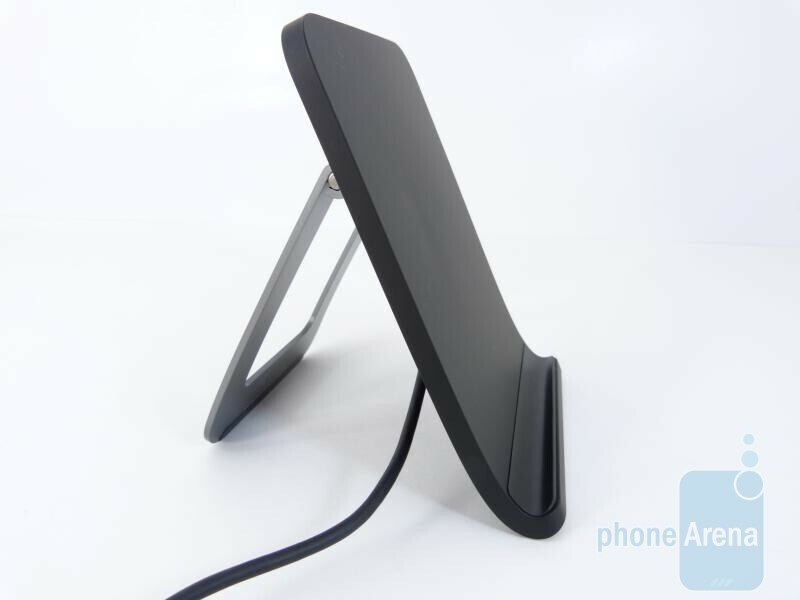 Besides acting as a pedestal stand as well, there isn’t any other functionality with it. Still, we’re curious to see what’ll come out from the third party market. 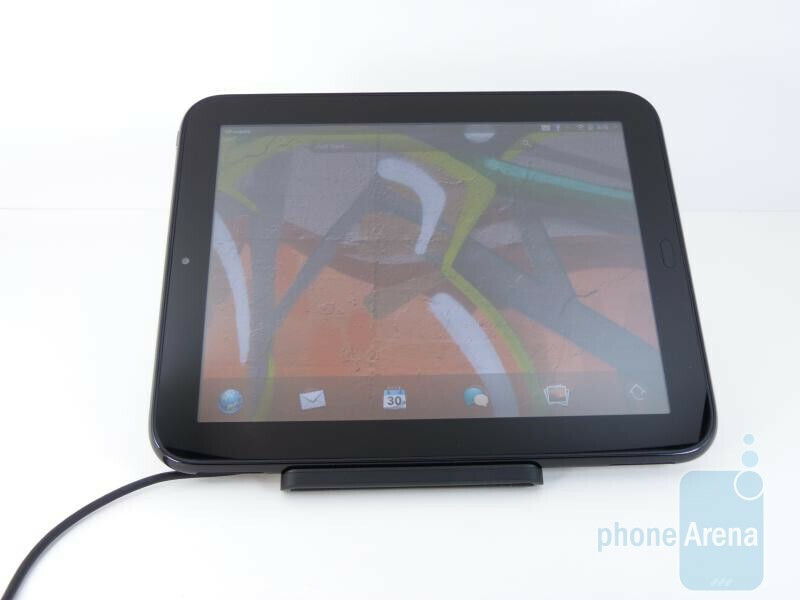 No other function when using the Touchstone? Exhibition Mode. 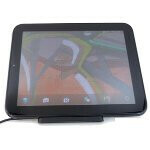 It will also charge even in the HP Folio case you can purchase for the TouchPad. 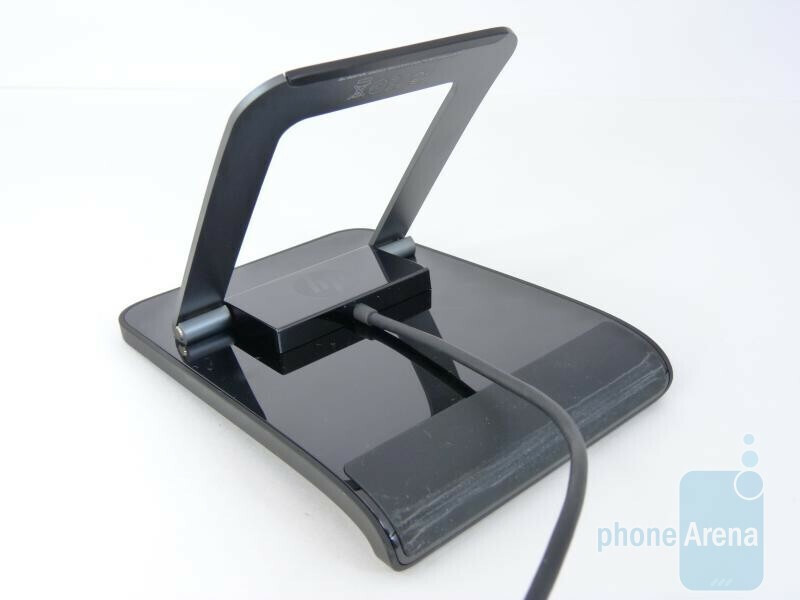 Get this Touchstone charging dock, takes the same time to charge wirelessly with this dock as with charging cable but much more convenient. I got multiple ones to use at home and in the office and in different rooms. Questions. A. Will/Can the Pre's Touchstone work on the touchpad? B. And other 3rd party charging induction mats work on the Touchpad? If anyone has knowledge or can test these... would be great to get alternatives.